This picture was taken by the Hubble telescope. 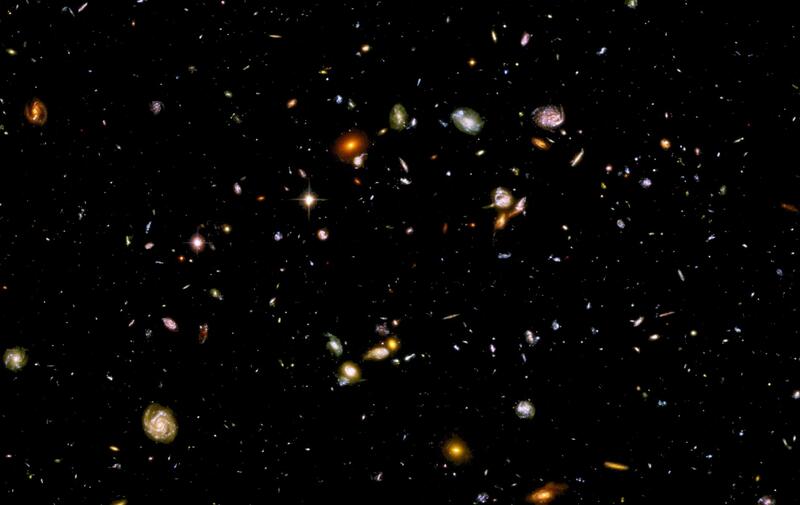 Each of these points of light is an entire galaxy. "It kind of makes you wonder why man considers himself such a big screaming deal" -Hobbes, in "Calvin & Hobbes" by Bill Watterson.